Streetcar lines grew and prospered in Dallas from 1872 until the 1920s. Automobile competition siphoned many of their riders away, but ridership soared again during World War II. 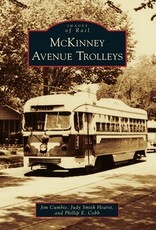 After the war, the trolleys entered an era of gradual attrition, and they were abandoned by 1956. 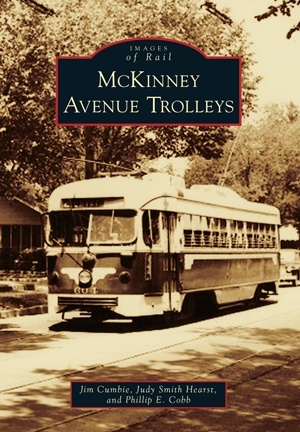 Amazingly, in 1989, the nonprofit McKinney Avenue Transit Authority (MATA ) returned restored vintage trolley cars to the city in the Uptown neighborhood near downtown. MATA evolved from a tourist attraction into a true transit company and became the M-Line. Since then, the area has experienced rapid growth and is now home to mid-rise office buildings and upscale apartments. Phil Cobb, the driving force behind MATA’s startup, was chairman of the board for several years and is now the M-Line’s president. Jim Cumbie, a volunteer since 1988, edited the company’s newsletter for 10 years and is now the M-Line’s webmaster and unofficial historian. Judy Smith Hearst, the president of Friends of State-Thomas, led a scrappy little neighborhood against significant odds to rezone, initiate a historic district, reroute traffic using the Maple-Routh Connector, and partner with developers to envision the future.